Always be aware of why you're drinking. This piece of advice, the last of four tips presented by drinkaware is possibly the only tip they needed to list; it covers the other three. If you're drinking alcohol because of stress or anxiety, then you're applying a mask, and it is important to be aware of that. But what if you're drinking for other reasons? The assumption is that alcohol is only used to "lose control", to "get drunk" and other things that lead to negative consequences. But this discounts many other nuanced reasons to drink alcohol, such as having a good drink with a good meal, relaxing while socialising, meditating, enjoying the taste of something. My grandmother used to love the occasional snowball: that's advocaat and perry (Babycham, of course). There are undeniable health risks, but it's important for each person to balance both factors: a risk is not the same as a conclusion. And so cutting down, for me, is a good idea. The same goes for non-alcoholic drinks. However there are many more half-truths here: not on the health side (low-alcohol and alcohol-free drinks are healthier in many ways, although not always in terms of sugars), but for the other reasons. As you may have gathered, one of the main reasons why I drink is taste. If you’re staying in, you can still enjoy a glass of wine but why not try switching to a lower alcohol alternative? The answer, if you've ever drunk Three Mills or Eisberg, is obvious: low-alcohol wine is an affront to the senses. Just across the board. Even the Sainsbury's wine I found the other week — which I did not despise — is no actual substitute. Reading the ingredients, I'm pretty sure it's the addition of grape must that affects the flavour — low-alcohol wine starts Just drink less decent wine, because I don't see it getting any better. And so, we are left with beer (I don't drink cider — maybe this would be easier if I did?). 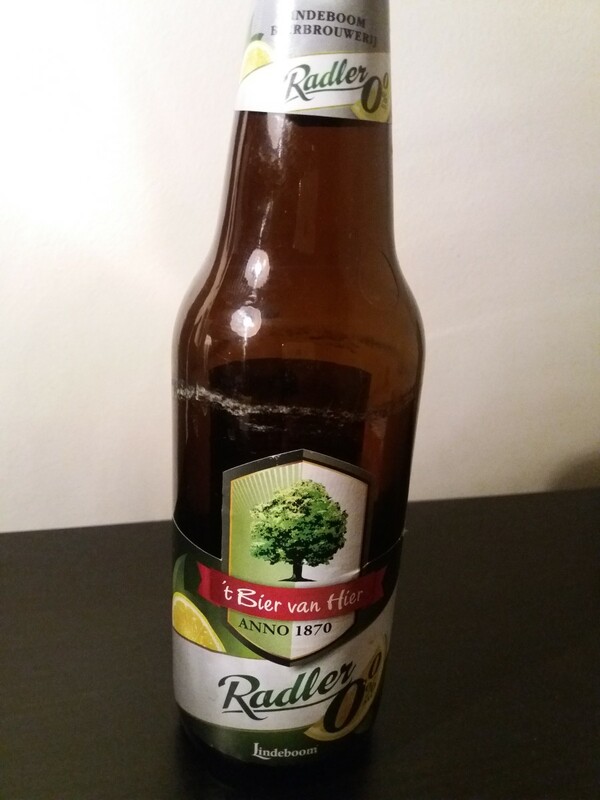 Non-alcoholic beer tastes very similar to alcoholic beer. This sentence is not true. The reason: malt. Malt is dried, germinated grain. Most low-alcohol and alcohol-free beer adds malt to the drink. So the overriding taste of most of the beers I have had in the last twenty days (remember, I started a week early) has been MALT. I am sick of malt. The taste of most beers is not just malt. Real ales come in many different flavours! When I drink a different beer, I expect a different flavour. What I don't expect each time: malt. While I was ruefully sucking down on San Miguel 0.0% beers in Newcastle, Andy Champion was having a glorious looking Grainger ale. 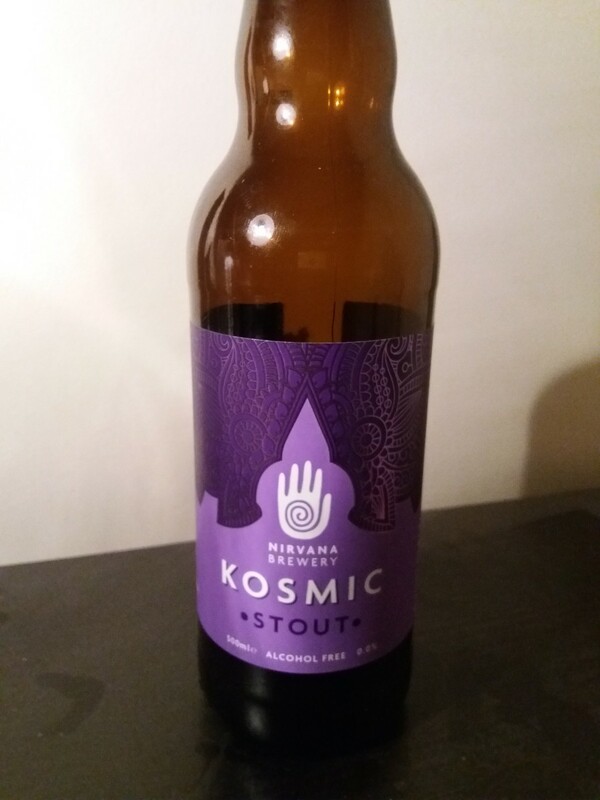 "You'd think," he said, enjoying another mouthful of session, "that that kind of flavour would work on a stout." I agreed. Little did I know that Tom Ward had kindly got me a case of beers to work through, including a stout! But Andy and I were wrong. The Kosmic should have been perfect for me, even though they had added chocolate and vanilla. I love my stouts and porters. 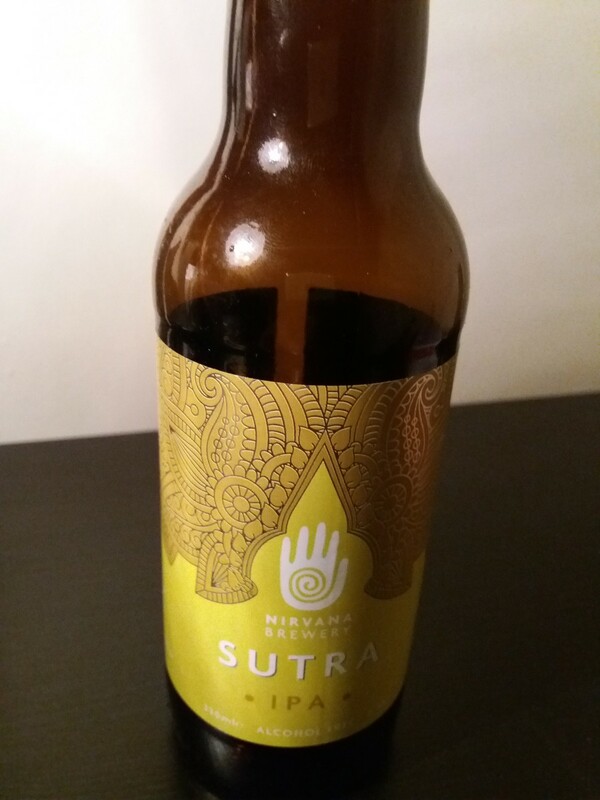 And name of Nirvana brewery filled me with confidence, having had the Karma But the malt taste... it was too powerful. It didn't feel rounded, or roasted; porters remind me of fires. It wasn't unpleasant; I was just hoping... for more. And so I turned to something else. And I was surprised. On opening the bottle, a lemon fragrance hit me. Not real lemons, of course; but lemons. 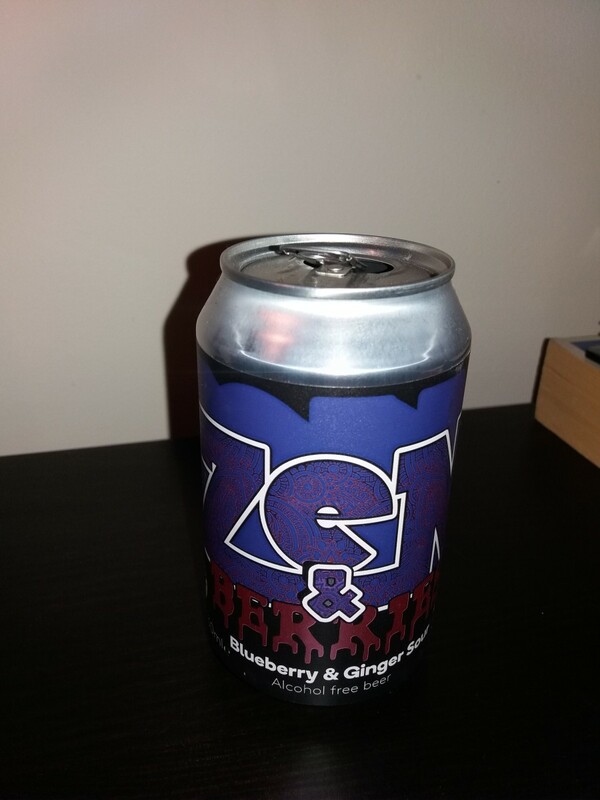 I began drinking: it was sweet, but not too much. It didn't remind me of an alcopop. I found myself getting used to the lemon taste. Was I enjoying this? And then it was finished. And I wanted another one. I was shocked by this, and kept staring at the bottle. It was delicious. But it didn't taste like beer at all. This was really drinkable. 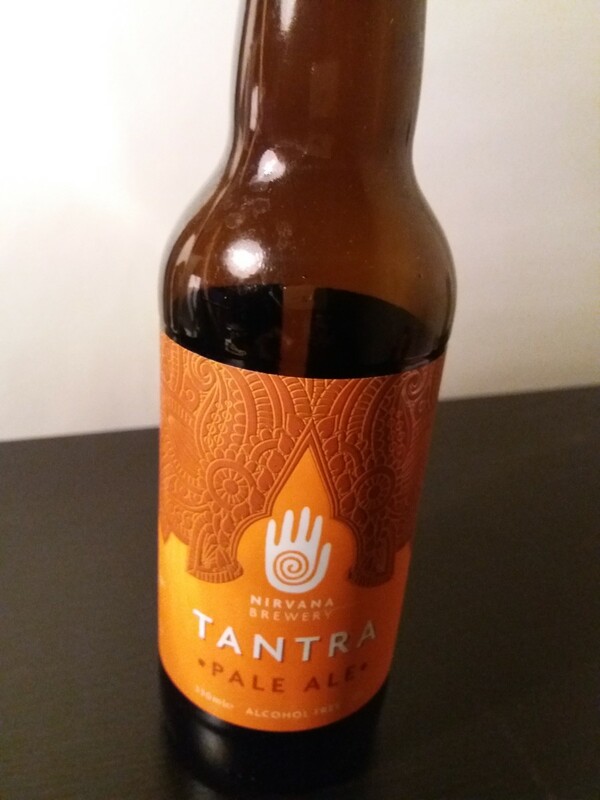 Not as bitter as the Karma; not as malty as the Tantra. I was quite taken with it, which considering I'm not an IPA fan was impressive. I could definitely taste the blueberries. But not much ginger, really. This is really quite sour, so if that's not for you, don't go for this. But personally, I would try it again. It was nice to see my opinions on sour beer confounded! This was a great selection of things to try; giving me more hope of getting through the month, bright spots that were filled with Bud Prohibition (overpriced water) and self-loathing. BUT all this has to come with a health warning. My mood has been terrible. I've become more irritable; headaches have increased; and I have generally experienced low mood. Why I'm doing this is worth it: but the effect of depriving myself of something I actually enjoy is weighing heavy at the moment. It will pass of course: and November... well. Another note: THANK YOU to everyone who has donated thus far! We've just reached £500!! next: What is it like?